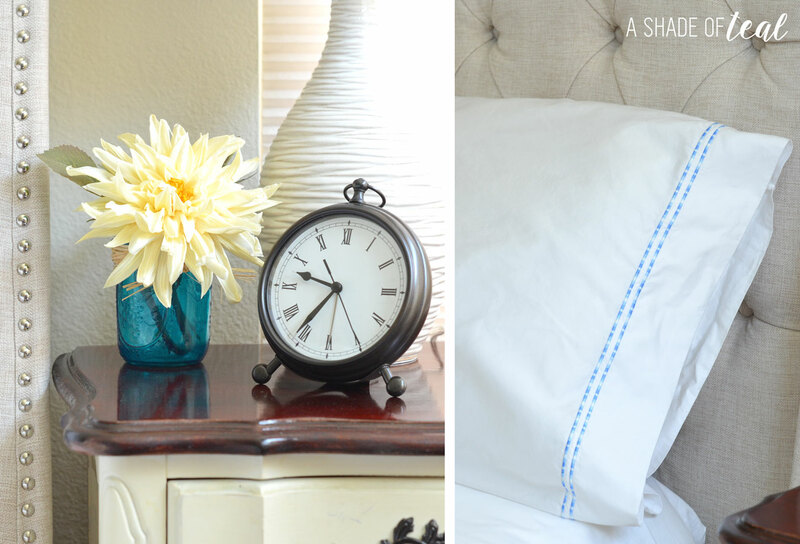 This post has been done in collaboration with Perfect Linens. All opinions and comments are 100% mine, I only promote products I believe in. 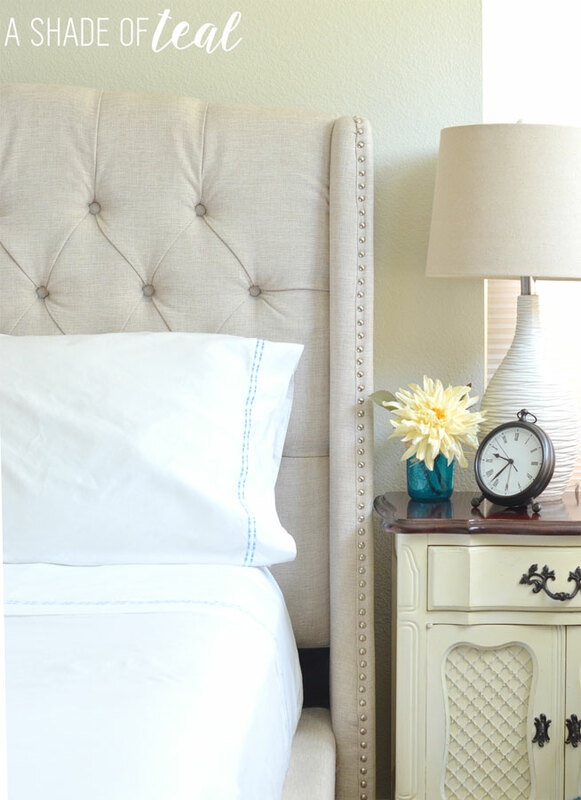 My master bedroom has been on my list for rooms I need to renovate. Since we moved in our home I’ve actually never decorated the room. I hope to really make it over by the end of the year, but for now I gave it a quick refresh with some amazing new sheets! When it comes to purchasing sheets I can be pretty clueless. I typically buy sheets based on how they feel never taking thread count into account. Of course after they’re washed they never feel the same which is always disappointing. 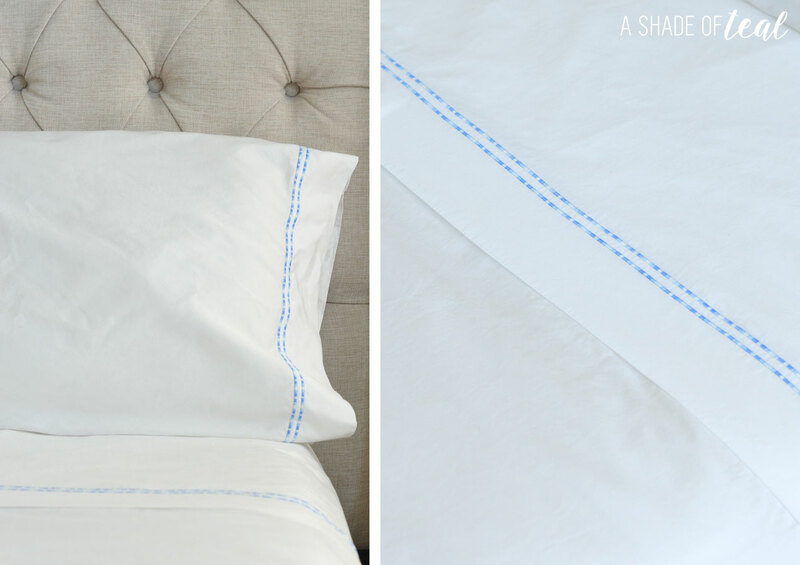 But when I was given the opportunity to try out Perfect Linen sheets I couldn’t pass up the opportunity. 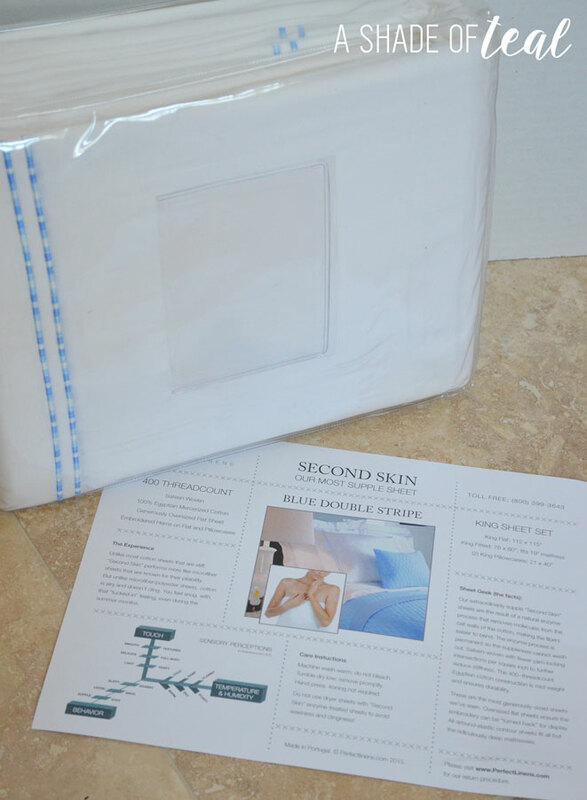 I chose to tryout the “Second Skin” sheets with the Blue Double Stripe. When I received the sheets they were so soft but the true test comes after a wash. I can can tell you I was NOT disappointed! They were still just as soft. Perfect Linens tests their sheets after multiple laundering’s. So the softness will remain the same throughout their lifetime, saving money and eliminating frustration. They also offer free shipping both ways as a satisfaction guarantee. I love the simplicity of the blue pattern. It adds just the right amount of detail. The “Second Skin” sheets are 400 thread count and I love the way they feel. Its been really hot at our home and when you first get into bed they are nice and cool to the touch. But through the night is starts to cool off and they supply just the right amount of warmth. The more I use these sheets the more I absolutely love them. They search the world for the best sheets and test them in a lab for comfort. 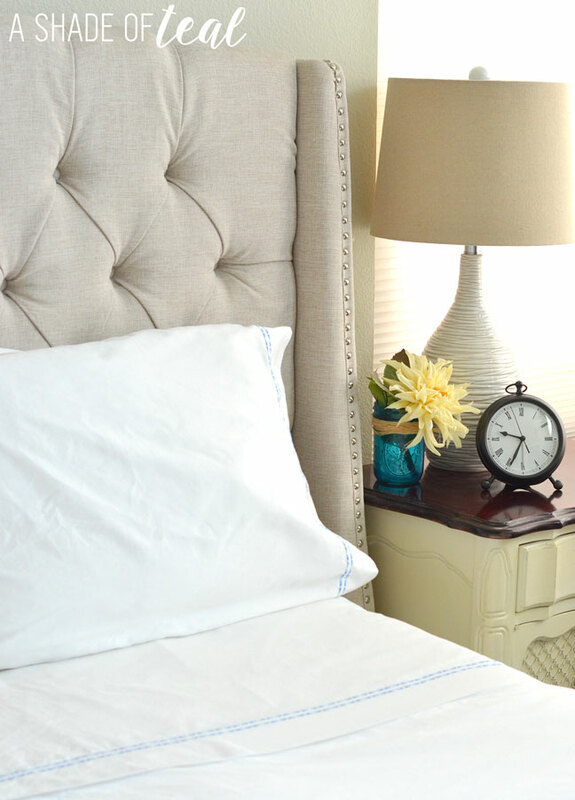 By using tests and fabric analysis they identify the most comfortable sheets. So instead of searching through hundreds of products they offer a small curated selection of exceptionally comfortable sheets. 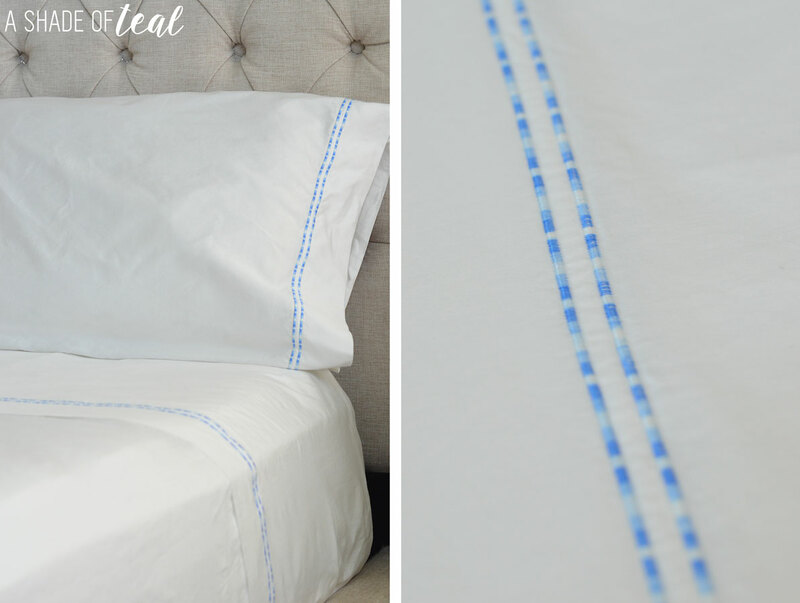 Perfect Linen sheets are not your average sheets and will cost more than your probably use to, but you won’t regret buying them since they continue to be ultra soft. To help with the cost they have offered a discount code for my readers. You’ll get 15% off any order and they always offer FREE shipping. Plus if you aren’t happy with them up to 45 days you can still return them. I hope you’ll give them a try, you won’t be disappointed. Enjoy! Those sheets look so comfy! 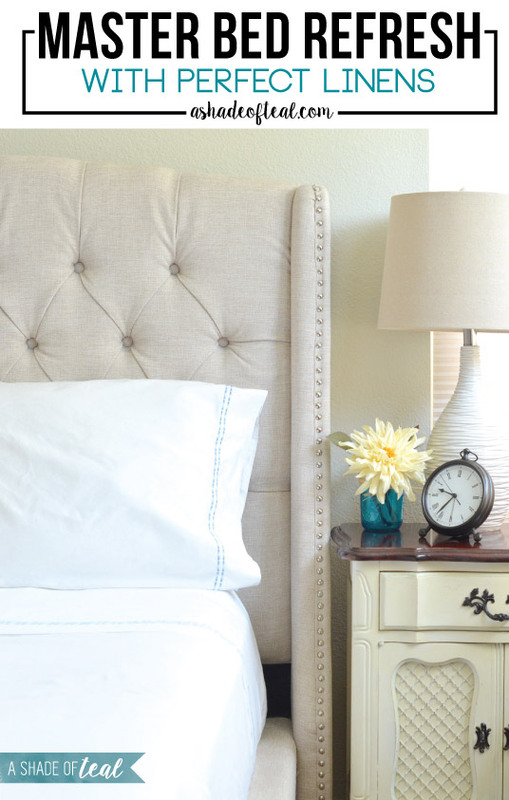 I also love the headboard.